A garden cannot thrive without bees and bees increasingly need gardens in order to survive. Beekeeping has seen a sudden surge in popularity, probably due to press exposure over the last year or two about the plight of Britain’s honey bees. The British Bee Keeping Association has seen a 25% increase in members in the last year and has many requests from people wanting to join their Beekeeping courses. All bees gather nectar from flowers but not all bees are Honey Bees. 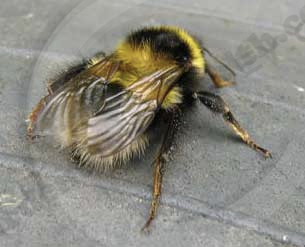 Many people think of the large fluffy bumble bees as honey bees which are kept in hives but bumble bees are solitary creatures and although they collect nectar, their honey is not made in sufficient quantity for production. large colonies, headed by a queen. The honey bees which are seen visiting garden flowers are the worker bees, collecting nectar and in the process pollinating our fruit trees and crops. They can also be found drinking near a pond or water source. Worker bees are born in the autumn and will live until the following spring but in summer they only live for about 40 days. Beekeepers keep honey bees in hives but colonies can live wild in hollow trees or parts of buildings. Bee hives are a simple box construction, usually made from wood, with room for frames inside, where the bees build ‘combs’, upon which they convert their collected nectar to honey to provide food for the colony to survive the winter. Honey bees are generally harmless and will fly away if left undisturbed but they can sting and will do so if they feel they or the hive are threatened. A female worker honey bee can only sting once in her lifetime, as the barbed stinger tears away the venom sack from the body of the bee, causing it to die within hours. Swarming honey bees can be alarming, the buzz of the swarm is loud and the swarm will fly over like a black cloud in search of a tree or something similar in which to rest. Honey bees swarm when the hive becomes over crowded. A new queen is produced and she, along with thousands of workers will leave in search of a new home. A honey bee swarm is harmless as long as you stay out of their way and many local authorities and bee keeping organisations will be easily able to locate a beekeeper who can remove the swarm and give it a home. Apart from pollinating our flowers and crops, their honey is a rich source of vitamins and is known to have antiseptic qualities. Honey bees are they only source of beeswax. There are about 250 species of solitary bee in Britain and as their name suggests, they live alone instead of in colonies. They can often be seen tunneling into sandy soil or disappearing into holes in the mortar of domestic buildings. Solitary bees do look very similar to honey bees. You do not need a great deal of space to keep bees, but they must have access to plants and flowers for nectar and a certain amount of commitment is required to keep the hive happy and productive. The hive needs to be out of the way of human or domestic animal traffic, as bees will actively attack if anything comes too close to the hive. Carry out plenty of research before embarking on beekeeping by contacting local beekeeping groups or the British Bee Keepers Association and ensure that there are no local bylaws or covenants restricting this type of activity in your area. Bee keeping organisations run courses for would be bee keepers. Getting started- many dealers and organisations offer complete start up kits including the hive, bees and protective clothing. As with any project involving animals, give beekeeping plenty of thought before taking the plunge. If you get bored with gardening, all you will have is a tatty garden but if you get bored with beekeeping, the creatures will die and possibly create a local problem. British Bee Keeper’s Association. – Lots of help and advice for beekeepers. Bees and Wasps in the garden leaflet – British Beekeper’s Association information leaflet. Host a hive – Urban Bees operate in London and act as a matchmaker for beehive owners who need space and people who have gardens who may be interested in beekeeping. 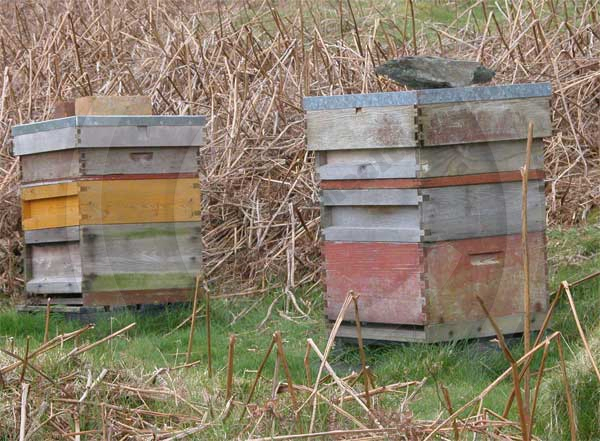 Adopt a Hive Scheme – Sponsor a beehive with the British Beekeepers Association. 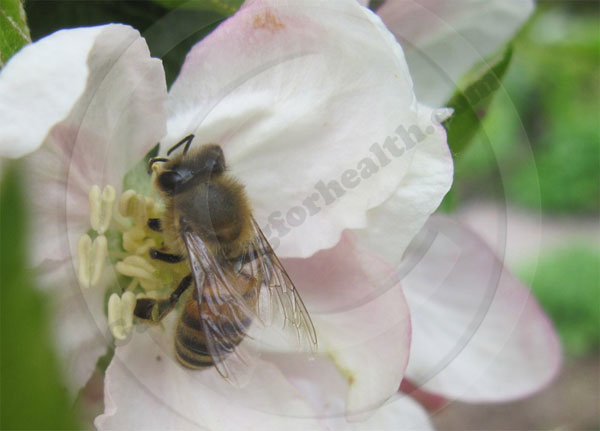 Podcast – Nature Around Me.com – The importance of bees in our orchards.